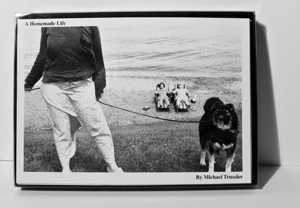 A Homemade Life is a boxed set of twelve black and white photographic images, poetry and short lyric essays. Classic street photography mingles with staged images and text to probe the uncanny nature of personal and cultural memory. 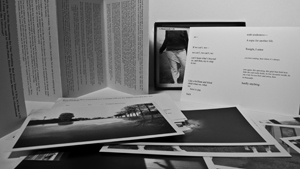 Readers are free to make their own connections between the various pieces and treat the chapbook as their own private mnemonic device. 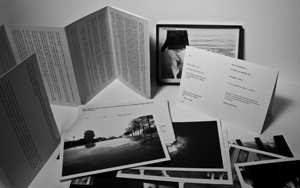 Materials: Images on cards, fold-out text, box.